I love a good pattie, and while there are plenty of yummy ready-made ones you can buy, it’s satisfying to be able to make your own. This makes quite a lot, so you can freeze some of them, ready to pop on the grill whenever it takes your fancy. Steam or cook the batch of mixed vegies however you please. Then mash and put to one side. In a fry pan cook the onion, carrot and zucchini in a little oil. In a big bowl mix all the ingredients together thoroughly. If it’s a bit wet add some more breadcrumbs or flour. If it’s a bit dry add a little water or soy/nut milk. 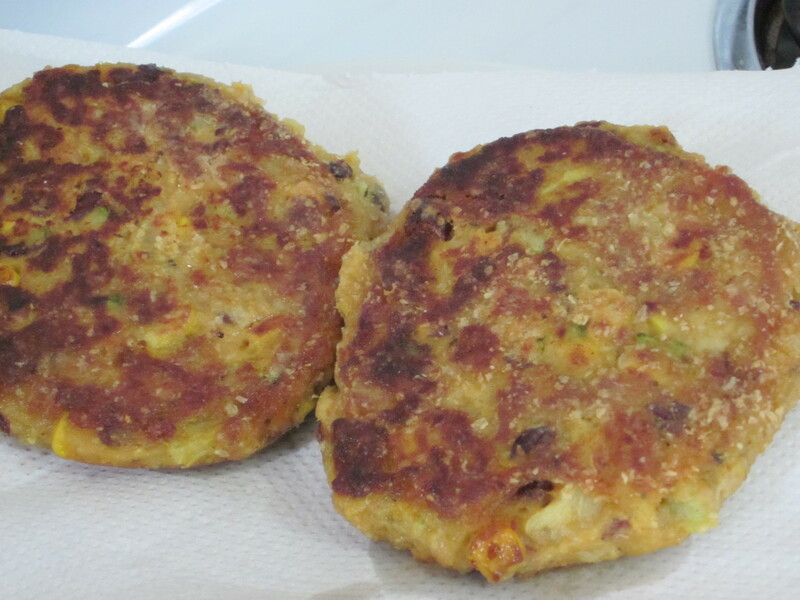 Take balls of the mixture and form patties, putting them straight into a medium-hot fry pan. Be warned, these are SOFT so let them cook for at least 5 mins before you attempt to turn them over. The best idea is to only turn them once, so be patient. 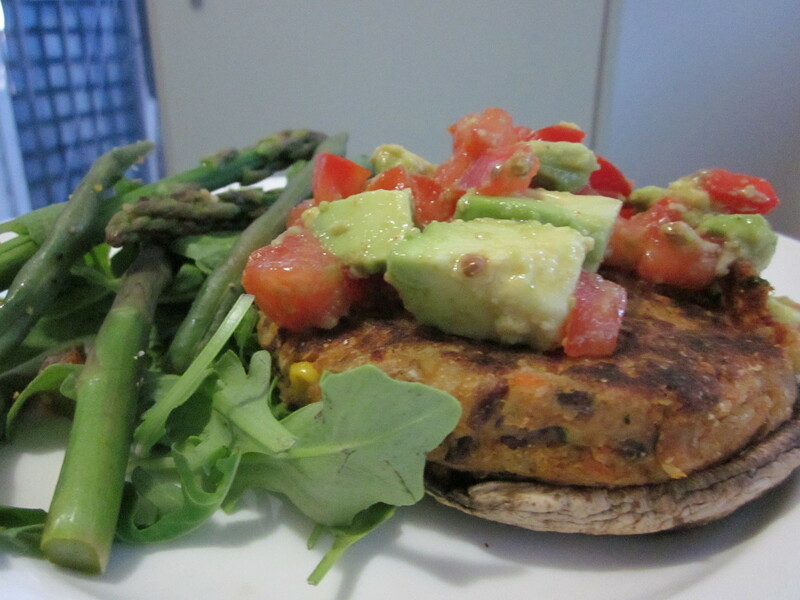 They have a bit of a Mexican flavour, so I cooked a big flat mushroom, placed a pattie on that and then topped it off with some fresh avocado and salsa. Then served them with steamed asparagus, green beans and salad greens. This makes about 16 patties. Most of them ended up in the freezer, and they seem to freeze quite well. I haven’t had any problems reheating them from frozen so far. The big test will be when we try some on the bbq.